So there is an unwanted plant growing in your yard, but you can’t identify it. You don’t know how to treat it and you want it gone, but what is it? Is it a grass, or is it a weed? By definition, a weed is a wild plant growing where it is unwanted and is in competition for nutrients with cultivated plants. This means that unwanted grasses are, in fact, weeds. Different types of weeds need different treatments in order to make them disappear from your lawn for good, which is what makes identifying your grass antagonizer an important first step in your lawn care strategy. 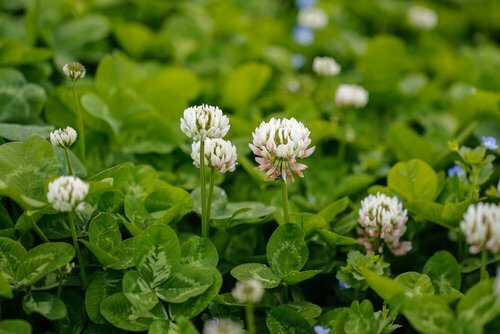 Once you know what type of weed you are dealing with, you can begin nursing your lawn back to its proper health and appearance. Description: These weeds are likely the type you see most often in your backyard here in Southern Ontario. Broadleaf weeds have wide and flat leaves with visible veins. They can be annuals, meaning they only live for one season, or perennials, meaning they come back year after year. 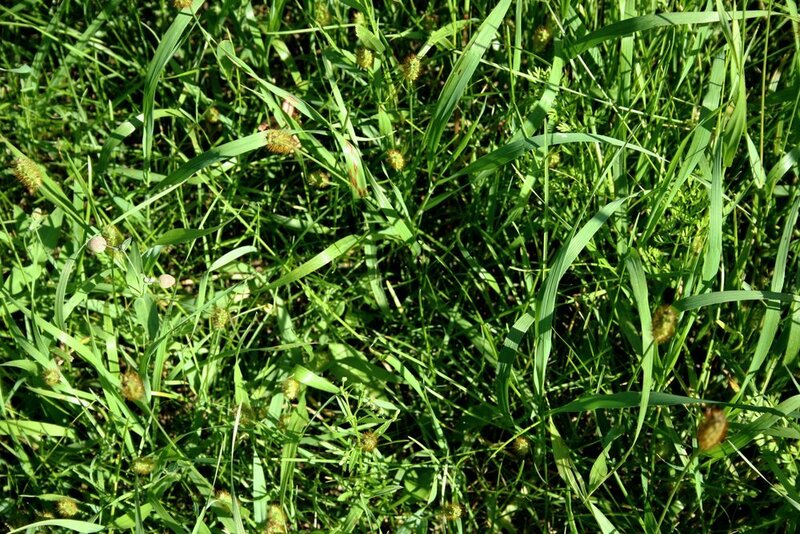 Treatment: As this is the largest family of weeds, treatments are variable. For the less stubborn weeds, you may find success in using a (legal) broadleaf post-emergent herbicide. Like the name suggests, apply post-emergent herbicides when the weed is actively growing in your yard. For more stubborn weeds, you may unfortunately have to pull out the trowel and get down to the roots to keep it from growing back. If you are being pestered by annual broadleaf weeds, you can choose to wait it out until they are killed by the Winter frost. Description: This category of weed actually encompasses multiple plant types. The two groups we will focus on are grasses and sedges. Grasses have hollow stems with long veiny leaves and may also have small flowers. Alternatively, sedges have solid stems that are unjointed, and long triangular shaped or “bent” leaves. Treatment: These types of weeds can be particularly difficult to get rid of, so the best treatment is prevention! Water your lawn often and deeply and be sure you don’t cut the grass too short. You can also try a selective pre-emergent herbicide, which is applied to the turf before the weeds begin to grow, however these products can be difficult to find. 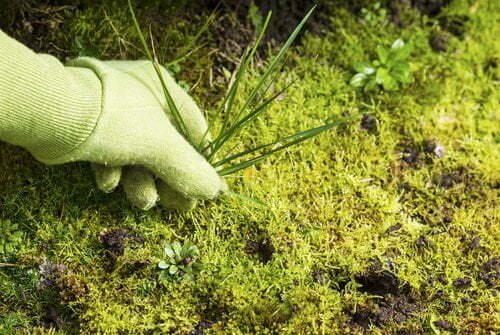 If you would prefer your weeds to disappear without getting yourself dirty, we can help! Call the experts at Weed-A-Way! I would like Corn Gluten applies as early as possible in the Spring. Hi Walter, thanks for the comment! We would be happy to discuss services for the Spring with you. Please call our office at (905) 858 3100, or email us at customerservice@weedaway.com!